Hi! I have 18 inch latex balloons which I want to cover with tulle. I would like to know how much tulle I need to cover one balloon and have about 1 1/2 inch tail. Thank you. 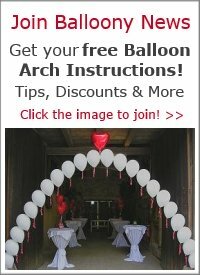 To cover a balloon fully with tulle and allow for a tail, you should calculate about 2 times the balloons diameter. 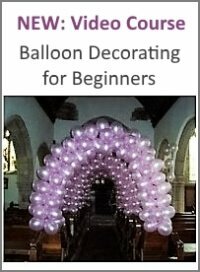 So, for an 18 inch balloon you would need a square piece of tulle with a side length of 36 inches. I suggest to use the light weight (and also cheaper) version of tulle that's made entirely out of nylon or polyester. 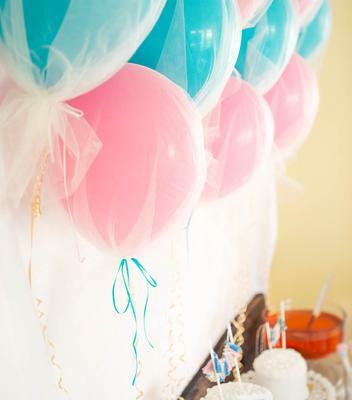 Note that these 18 inch tulle balloons will not float. You'd have to suspend them from the ceiling with fishing line if you'd like to have them hanging. 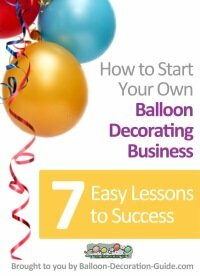 Please also check out my answer to a similar question about tulle covered balloons. Hope that helps! 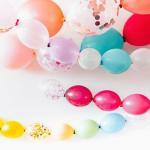 Would love to see a photo of your tulle covered balloons. Comments for How Much Tulle?